If you’re so healthy that you do that yoga with the heat turned up to 100 degrees and you feel guilty when you eat strawberries, then this is the fruit for you! 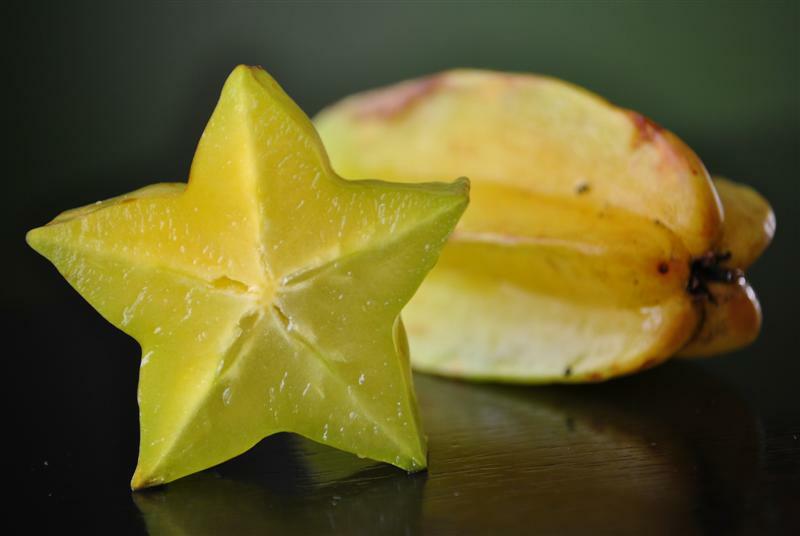 The Carambola, or Star Fruit, comes in tart varieties and sweet varieties. The sweet only has 4% sugar though (compared to a speckled and ripe banana, which can have up to 90% – yee haw!). So I’m thinking this so-called “fruit” really should surrender its title and just slink on over to the vegetable aisle. Perhaps it could just make friends with the rutabagas. 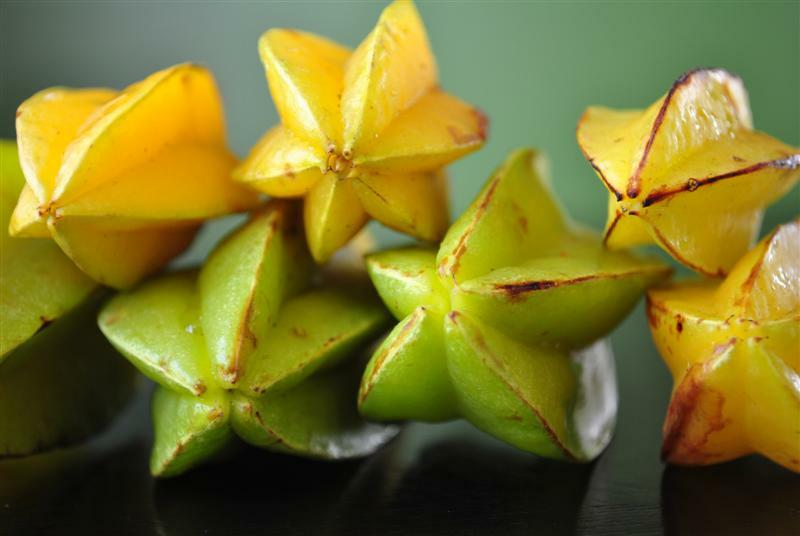 Green and yellow cylindrical fruit in the shape of a star. Lots of brown edges and bruises. Firm, crunchy and juicy – a bit like a firm grape. This reminds me of a slightly sweet, slightly sour, juicy, lemony bell pepper. This fruit just screams pizazz the second you see it. And then you taste it…and it mumbles “meh”. On the bright side, it makes an amazing garnish and I’m sure it would liven up dessert soups and salads. But seriously, who cares about salad when you can slice these and put them on the edge of champagne glass. Oooh la la. This fruit looks absolutely gorgeous, even if I didn’t eat it I’d still love to gawk at it for evenings on end. Wonder how hard it is to grow/buy them in the UK. By the way, how do you peel them? Ah – you don’t have to peel them, just rinse them clean. They are very similar to bell peppers in texture/peel/flesh, just a bit juicier. Tried this fruit in Moorea Tahiti in the form of a smoothie … the tangy sweet and sour taste was fabulous enhanced by some other sweeter fruits in the combo. I grew up with this fruit as a kid in Viet Nam (The Vietnamese name for it is “Khế” if you are interested). I mostly eat them raw with a sprinkle of salt. My mom can make amazing salads and soup with them also. 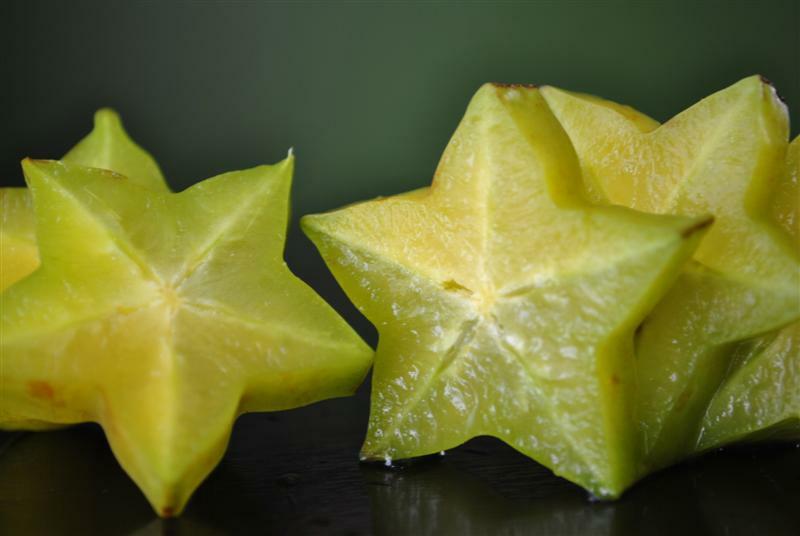 Candied starfruit makes cool looking and delicious snack for kid too. Thin slices over margarita tastes delicious and is a wowzer at parties. 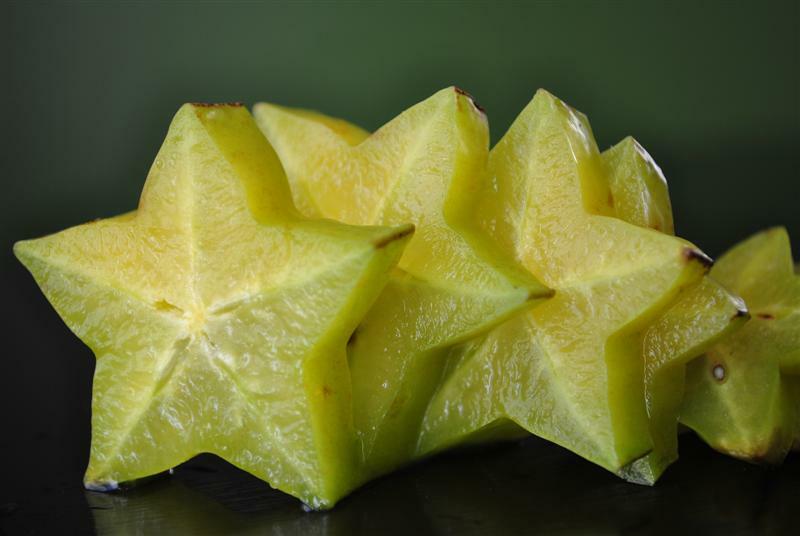 Ohhhh Minh – I love the idea of candied carambola. I need to try that. Brilliant!